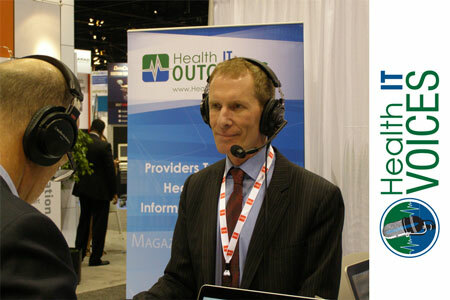 Health IT Outcomes was at HIMSS15 in Chicago broadcasting live from the show floor and recording podcasts with key exhibitors. Health IT Voices hosts Todd Schnick and Kelly Riggs spoke with many of healthcare's most influential leaders in order to keep you current on the latest technology and people driving health IT. In this podcast, Barry P. Chaiken, MD, MPH, Infor CMIO and former HIMSS Chair details the key technology applications Infor has it developed for the healthcare industry, as well as how healthcare operational and administrative systems have had to evolve to help providers manage the unprecedented changes they face today. Chaiken discusses Infor’s approach to providing healthcare facilities with enterprise-wide visibility into their operations, human resources, and supply chains and how it helps health providers turn this visibility into action that improves performance and outcomes. He goes on to explain the role the cloud is playing in this effort and how healthcare providers have become more open to and trusting of cloud applications, particularly applications as vital to their businesses as an ERP solution. Chaiken also notes how leading health providers such as Geisinger and Bon Secours Health are leveraging Infor solutions and what role he feels Infor can play in healthcare going forward as providers strive for better alignment, connectivity, and information exchange.